Yes, its hot but when you are surveying in a place like this you know it is great to live in Kentucky. This beautiful horse farm out along the Bourbon Trail is a gorgeous site. 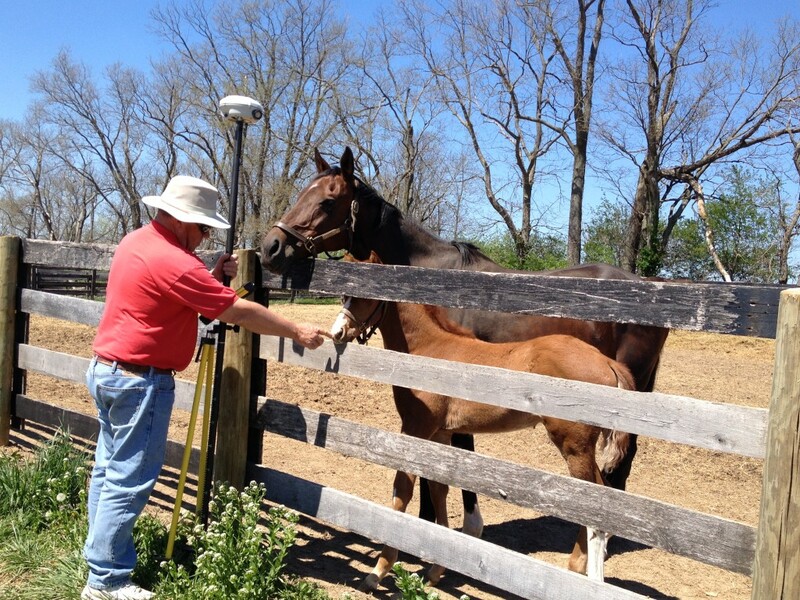 Seeing this little colt makes it all worth while for Richard Matheny, head land surveyor at Cardinal Surveying. If you need a boundary survey, A.L.T.A. survey, F.E.M.A. flood elevation certificate, Site plan for an addition or Planning & Zoning work such as a C.U.P. or zoning change application, please remember to give Cardinal Surveying a call.